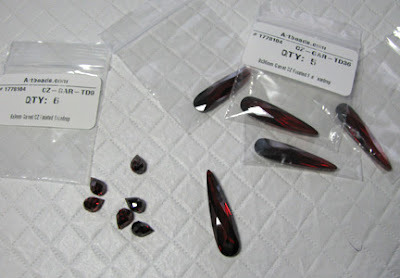 Awhile ago, I received these gorgeous Cubic Zirconia beads from Artbeads.com in order to show you their quality and make a project to share with you. I knew exactly what I wanted to do with them, but it was a lengthy project and took a bit of time to complete. Finally! Over the next few days, I'll share the steps that I took and show you how I ended up using these wonderful sparkly beads as embellishments. 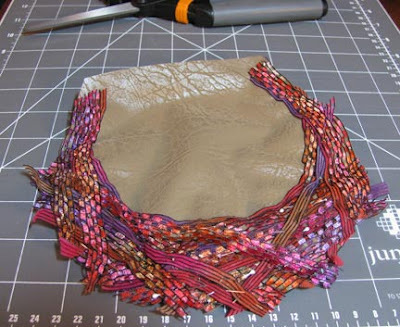 Draw an outline for your necklace on ultrasuede or whatever foundation fabric you prefer. Cut out along the outer line, but leave the inside intact for now. Check these two previous posts for more information about creating your foundation piece and about bead embroidery in general. Cut lengths of ribbon yarn and pin them in place all over the foundation. Allow the to extend past the lines slightly. 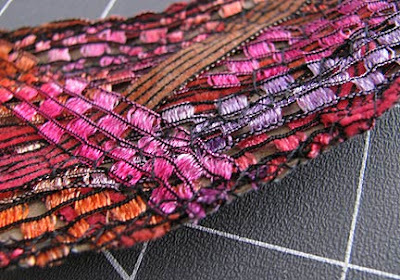 Using a wide zig zag stitch, use your sewing machine to anchor all the ribbons in place, stitching back and forth across the piece until everything is secure. I used black thread so that it would blend in slightly with the ribbon design. 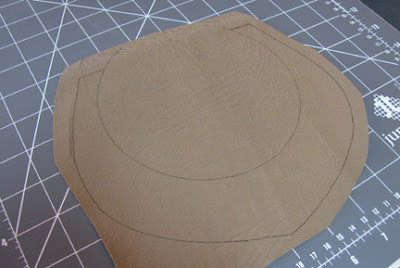 You can make your stitching part of the design if you want. 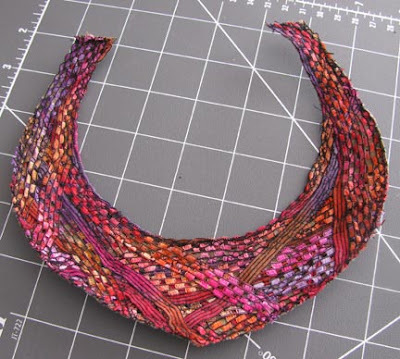 Stitch all along the outer and inner edge, allowing the zig zag stitch to go over the edge and anchor all the edges in place. Next time I'll show you the bead embroidery up close! Thank you Vampi! Wait till you see it in all its bead-encrusted glory...lol!! It's beautiful already and you're not even done yet!